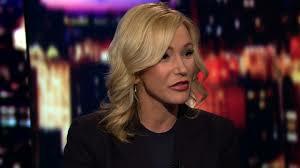 Speaking on CNN, this past Thursday, January 5th, 2016, Paula White, spiritual adviser to Trump and Senior Pastor of New Destiny Christian Center in Apopka, Florida defended herself against accusations of being a Trinity-denying false teacher and preaching the false gospel known as the “Prosperity Gospel.” Over the past years, much criticism has been rightly raised by those in Orthodox Evangelical circles about Pastrix Paula White’s validity due to her heretical theological stance on core essentials of the Christian faith. In the past at Pulpit & Pen, our authors and contributors have raised much concern over Paula White and her false teachings. While many within Orthodox Christianity are critiquing Paula White’s teachings, one fundamental point is continually being missed or even ignored by those in the larger evangelical crowd. This point is a simple and a straightforward one. Paula White, by scriptural mandate, is not to be the pastor of New Destiny Christian Center or any other church for that matter. By White claiming to be a “pastor” she is superseding her given spiritual authority. In short, this also would logically necessitate that White should not be Trump’s spiritual advisor because once again she’s putting herself in an authoritative position that she is unqualified to hold. I want to make something very clear at this point. When I make these claims, I am not being chauvinistic or have something against women. I believe that women have an exceedingly distinguished identity in the church body. I am only following what Scripture is teachings us about the role of male and female in the confines of church leadership. With that said, women are not to be in the role of leadership over men in the context of the church structure. The problem is that for too many people in modern-day “American Evangelicalism,” the idea of specific gender roles is a foreign concept. In many churches across America, those boundaries are becoming more and more blurred with every passing day because of the modern ideas of social gender integration and total disregard for the inerrancy of Scripture. However, Scripture clearly tells us different than what society wants dictates as the role of women in the church. In 1 Timothy 2:12-13 the role of women in the context of the church setting is as stated, “But I do not allow a woman to teach or exercise authority over a man, but to remain quiet. For it was Adam who was first created, and then Eve.” Take note that this is not cultural mandate, the Apostle Paul uniquely adds a clarifier that this is from the creation of man and women establishing the order of Federal Headship and which gender is to lead the church. In other words, Paul’s words here are not an opinion but a doctrinal statement. The above verses alone disqualify Pastrix White from being in any official leadership position within the church. However, one does not build doctrine on one verse alone. In 1 Timothy 3:15 the following is stated; “but in case I am delayed, I write so that you will know how one ought to conduct himself in the household of God, which is the church of the living God, the pillar, and support of the truth.” This verse clearly puts forth an authority structure set up by God dealing within the context of “the household of God” or in today’s context “the church.” This verse clearly is teaching that the male is to be in an authoritative position within the framework of the body of the church, not the female. To further fortify the foundation of the biblical inerrancy of male leadership in the church we need to look no further than Titus 1:6 which states, ”namely, if any man is above reproach, the husband of one wife, having children who believe, not accused of dissipation or rebellion.” This Scripture clearly teaches that the Pastor, Elder or a leader of a congregation must be male. Thus, how can Paula White claim to be a “pastor” when she cannot be a “husband of one wife?” Based on Scripture alone, White is unable to meet the qualifications to call herself a pastor. White cannot call herself a preacher biblically because she cannot hold to the gender requirements that fit that role. Even if one could twist and bend Scripture enough to warp the gender requirements of the office of pastor into allowing females; Paula White would still be disqualified to fill this leadership role. White would be ineligible since she is on her third marriage. As stated above in Titus 1:6 a pastor must be “husband of one wife” meaning that even if you neglect the gender qualifications of being a pastor, White is disqualified based on her current marital status of divorce and remarriage. The fact that she is on marriage number three which is a clear violation of the Scriptural requirements of no divorce. The problem is that once you reject one Scriptural requirement for being a Pastor, it is easy to discard all the others. People who ae willing to accept women as pastors must then be willing to accept theological error and noncompliance with Scripture. Thus, allowing for larger false teachings and heresies to be accepted. Whether it is by Paula White’s heretical teachings and preaching of a false Prosperity Gospel or by the violation of fundamental roles of leadership found in scriptural and doctrinal datum; Paula White is disqualified from the office of Pastor. Paula White has, can, nor ever will be a legitimate Pastor regardless how much White wants to “fire back” at her critics. White will always be a Pastrix or “fake pastor” based not on opinion but on what Scripture alone teaches about the qualifications of being a pastor.